OMAHA, NE. March 22, 2016 - Whether you’re visiting from the East or West Coast, flying to Omaha continues to get easier. American and Alaska Airlines just announced new nonstop service to Omaha from Miami and San Diego. American Airlines will begin daily nonstop service from Miami International Airport (MIA) beginning Wednesday, July 5, 2017. Alaska Airline will begin daily nonstop service from San Diego International Airport (SAN) beginning Monday, August 28, 2017. With these additions, Omaha’s airport (OMA) will provide non-stop service to 28 major airports across the country. In the last 18 months United, American, Southwest, Alaska and Allegiant Airlines have all announced new nonstop service to Omaha. United Airlines added nonstop service to San Francisco International Airport (SFO) in September 2016. American Airlines started offering nonstop service to Los Angeles International Airport (LAX) in June of 2016. Southwest Airlines began daily service to Reagan National Airport (DCA) in Washington D.C, in March of 2016, and began nonstop service to Dallas Love Field (DAL) in August 2015. Alaska Airlines began daily nonstop service to Portland International Airport (PDX) in February of 2016, and Allegiant Airlines launched new year-round nonstop service to Orlando, Florida’s Sanford International Airport (SFB) in November of 2015. Click here for a map of all nonstop air service offered in Omaha. Omaha hosts a number of large international and domestic events including Warren Buffett’s Annual Berkshire Hathaway Shareholders Meeting, which attracts an international audience each May; the 2017 FEI World Cup, an international horse jumping and dressage competition being held this month; the NCAA College World Series Championship scheduled in June, and the 2017 U.S. Olympic Curling Trials set for November. 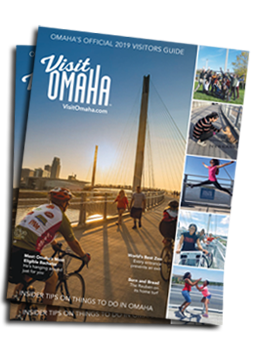 Find out more about what’s happening in Omaha at VisitOmaha.com.